By Melissa Lennig on October 25, 2015 2 Comments. This content contains affiliate links. As an Amazon Associate I earn from qualifying purchases. 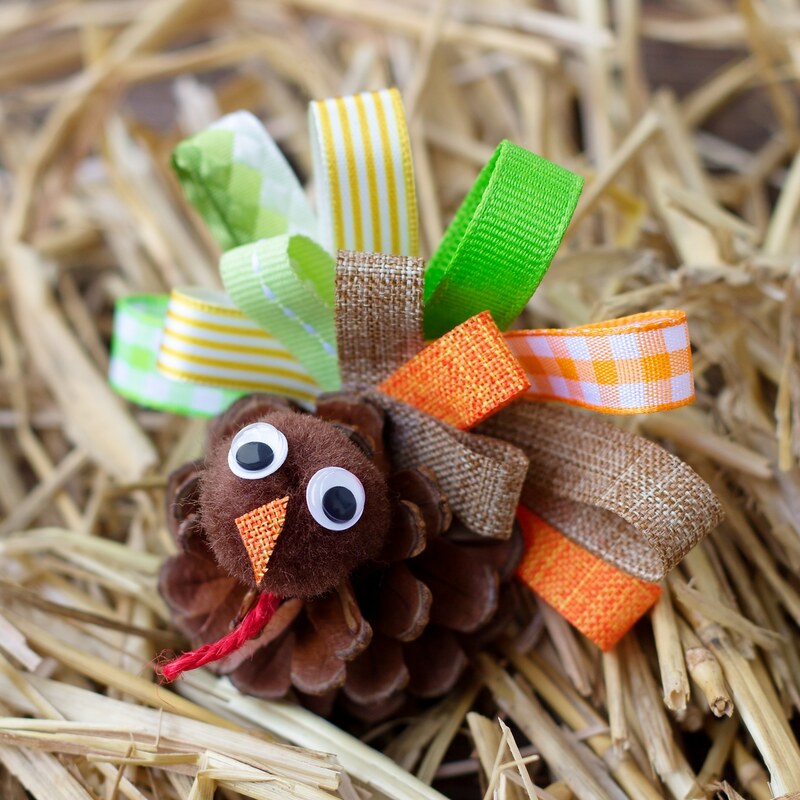 Inside: Just in time for Thanksgiving, learn how to make a fun Pine Cone Turkey Craft for Kids with ribbon, pine cones, and pom poms. 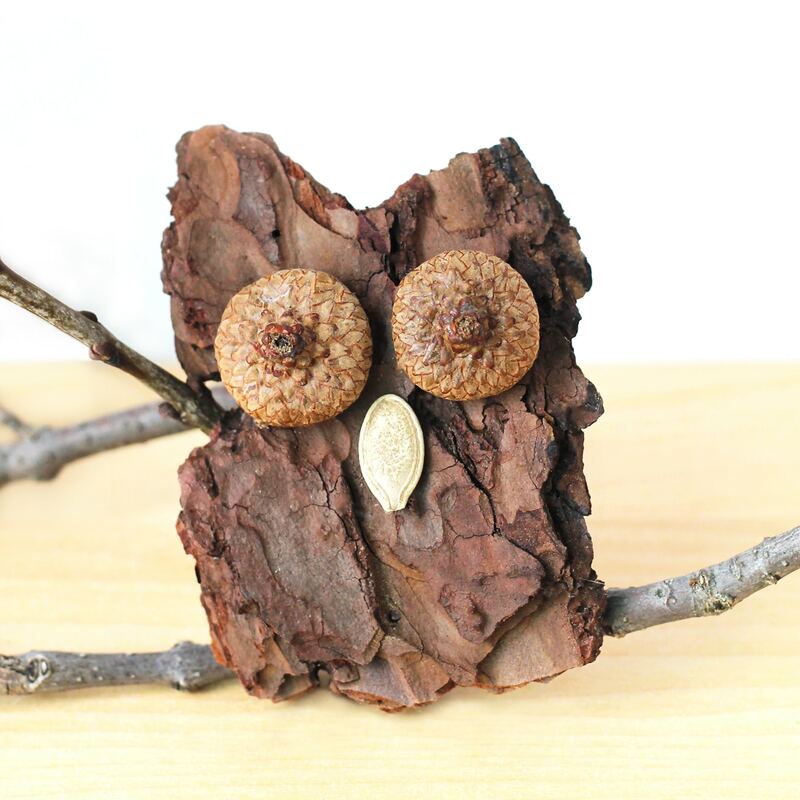 It’s the perfect fall nature craft for kids! Seeing as how I trudged through 4 different stores today searching for candy pumpkins—with no luck—it’s probably a good time to transition into Thanksgiving crafts. Soon, the pine cone bats will be packed away and these adorable Scrap Ribbon Pine Cone Turkeys will take their place! My children love crafting with natural materials, and I always try to use what we have on hand (otherwise, crafts become too expensive). This craft uses short bits of scrap ribbon left over from other crafts, as do our popular Scrap Ribbon Tree Ornaments and Scrap Ribbon Pumpkin Suncatchers. 1. 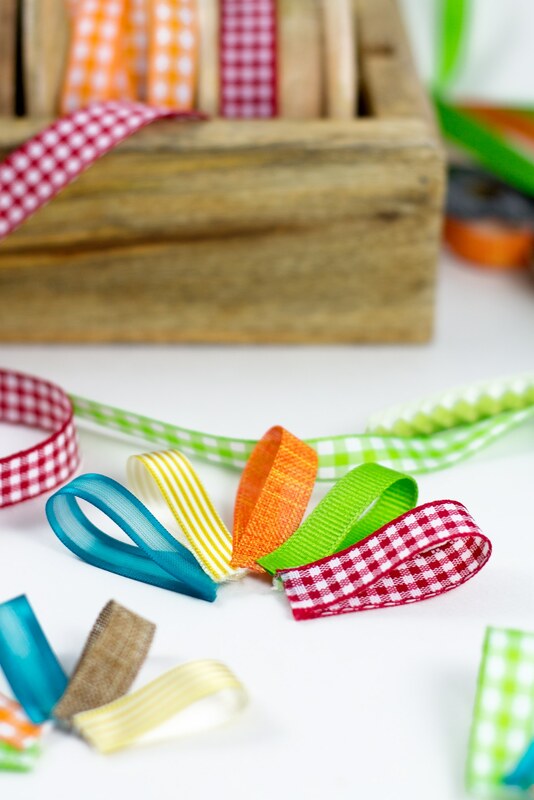 Use the hot glue gun to create 5 loops of ribbon. Shape the loops into an arc, using the hot glue to string them together. Repeat, using smaller pieces of ribbon. 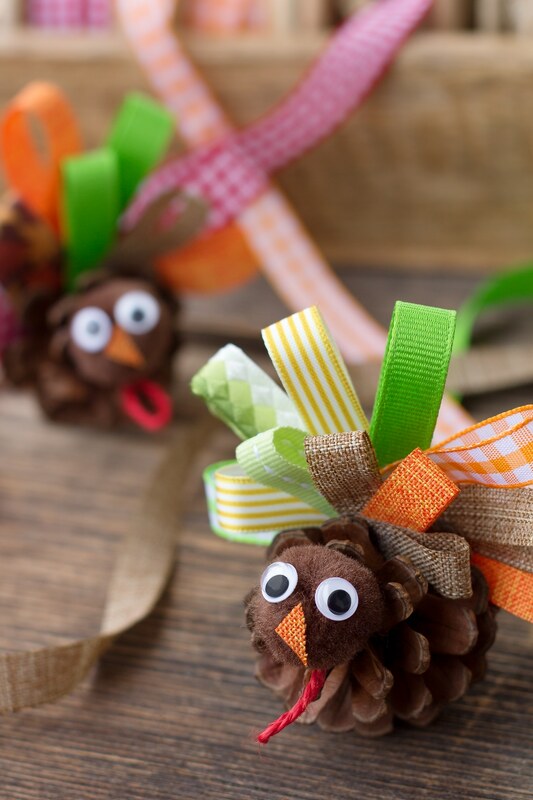 These ribbon arcs are the feathers for your turkey! 2. 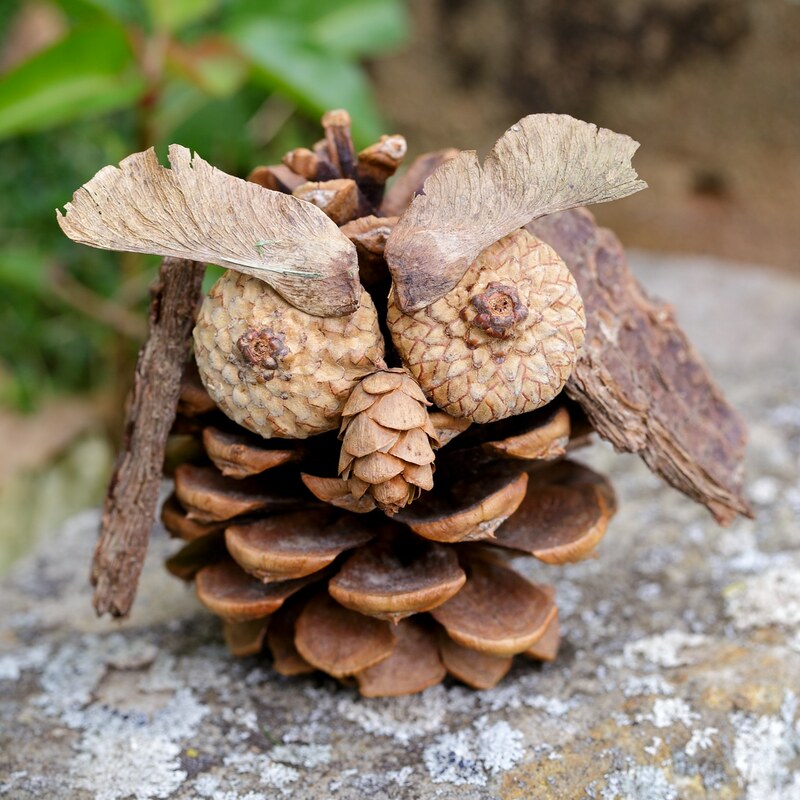 Slide the feathers into the pine cone, then secure them in place with hot glue. 3. Next, attach 2 wiggly eyes to the brown pom pom. Cut a small triangle from orange ribbon, then secure it to the pom pom with hot glue. 4. 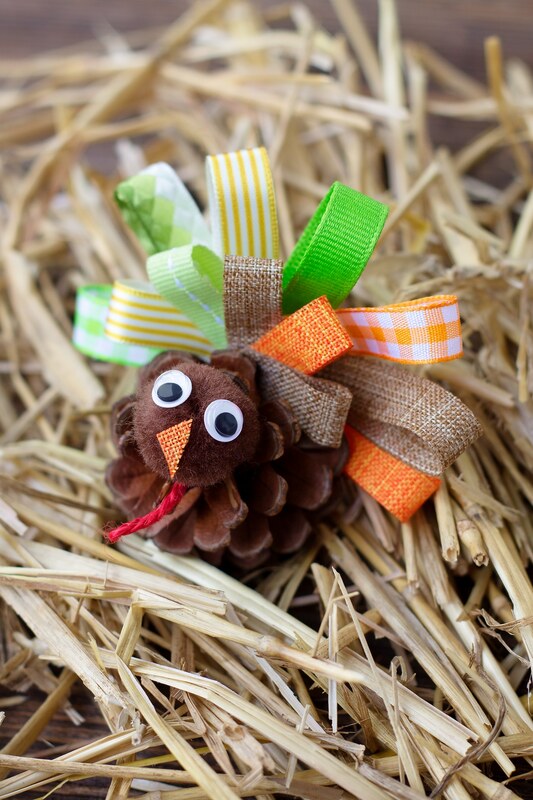 Place the entire turkey head onto the pine cone with hot glue. 5. Last, make a small loop out of red twine for the turkey’s gobbler. Attach it to the pine cone with hot glue and you’re done! Are you in need of place card holders for Thanksgiving dinner? 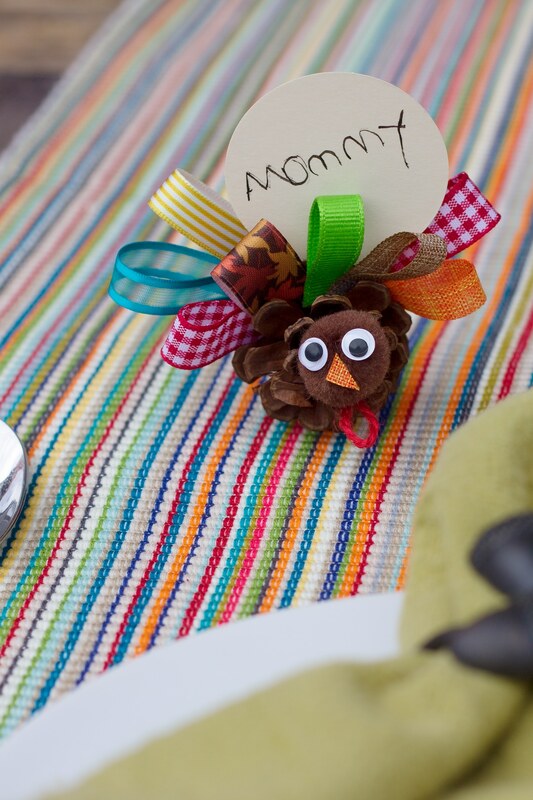 After kids make the turkeys, invite them to write the names of friends and family onto strips of paper, then place the strips into each turkey for a kid-made holiday! 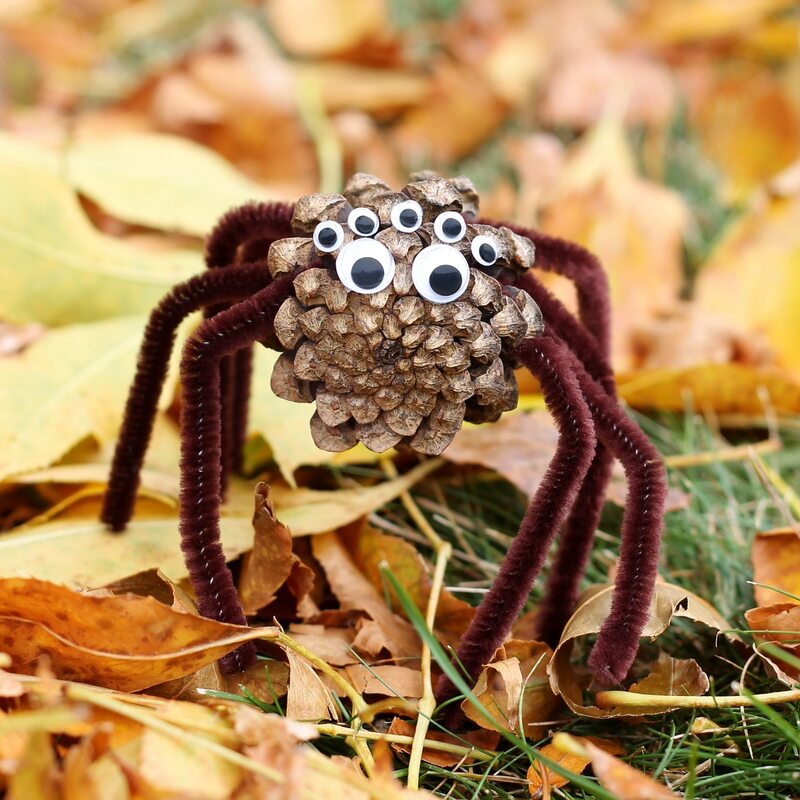 Click the images below to view more fall nature crafts for kids. Very cute and simple crafts! I am going to try some of them.